Brian and Debbie, taken December 1973, Cedar Rapids, Iowa. 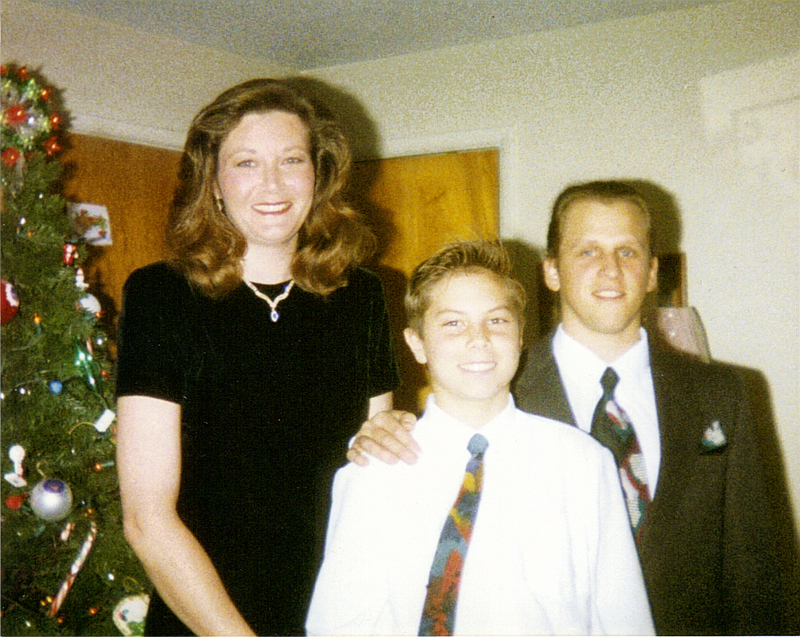 Brian, LuAn and Brandon, taken Christmas 1991/2, Broomfield, Colorado. 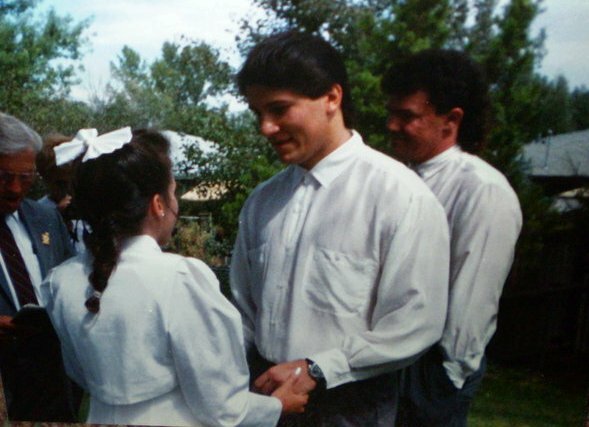 They were married in Broomfield March 9, 1991. Debbie and Dee, Joshua, Jason and Mandy. 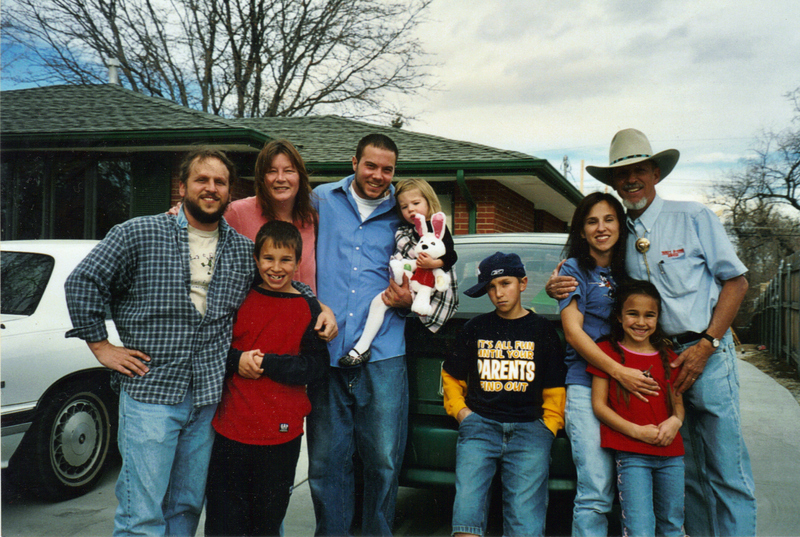 Taken about 2003. 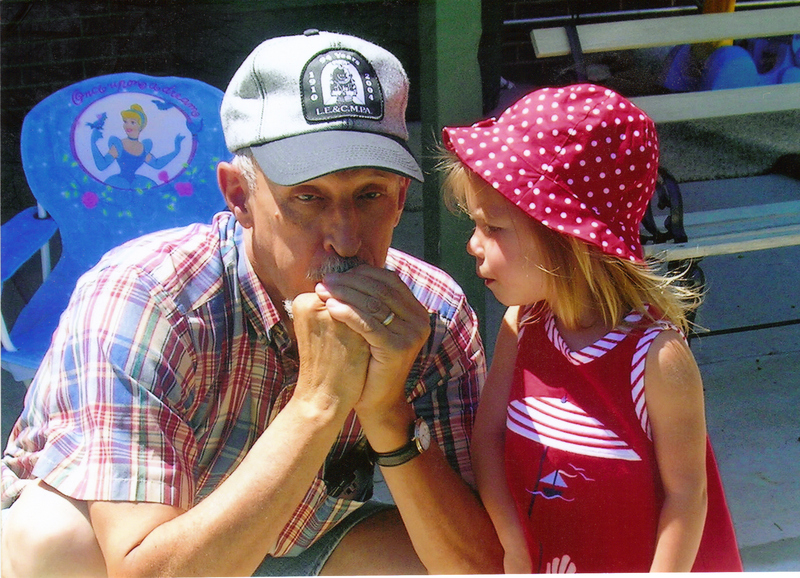 Howard teaching Brandon’s daughter, Trinity, how to make a dove call. 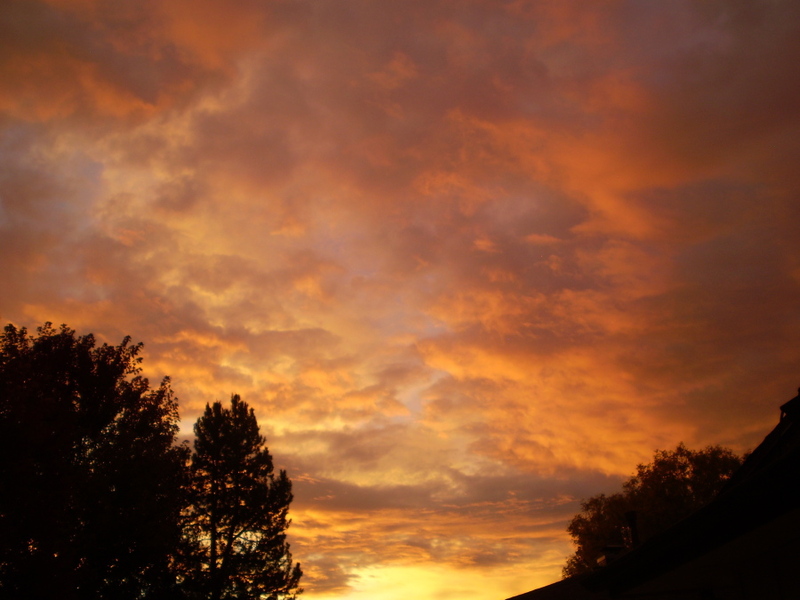 Taken in Broomfield, Colorado about 2006. 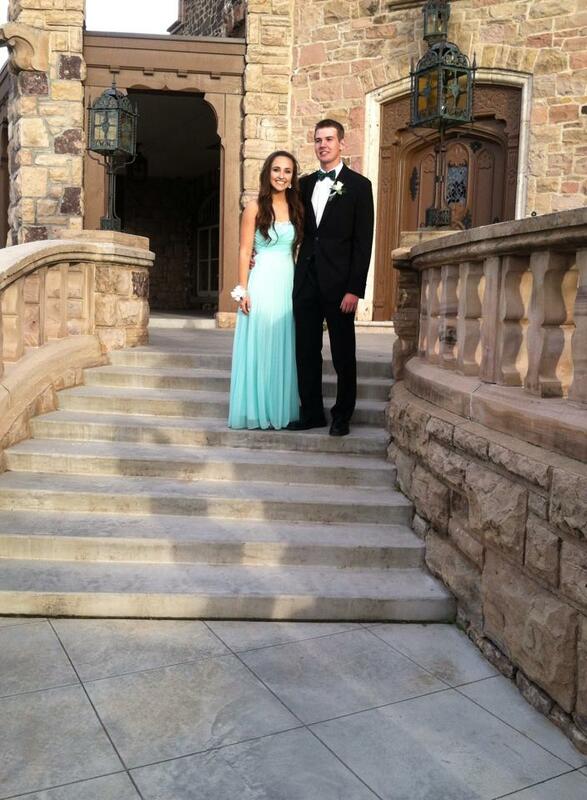 Mandy and her prom date May 2014. She will be graduating this spring. 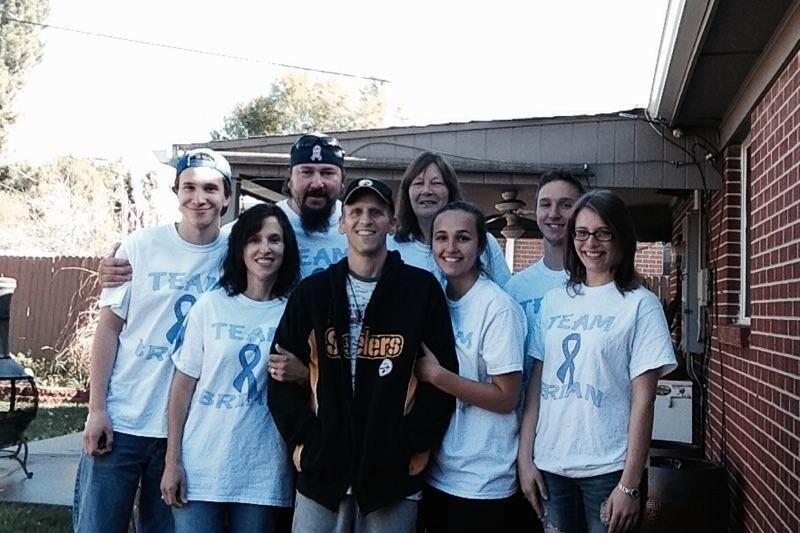 Team Brian: Debbie, Brian, Mandy, Dallas, Jason, Dee, LuAn, Joshua. 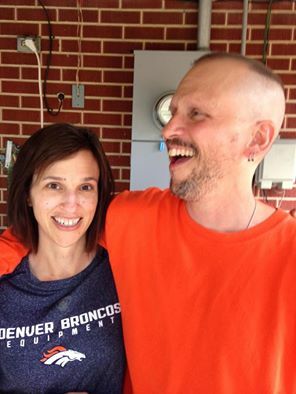 Debbie organized a Gofundme account for Brian as he wages his war against cancer. With Team Brian on his side, Brian will win his war!! Wishing each of you a blessed holiday season. May you have a wonderful Christmas and a happy and joyous New Year 2016. 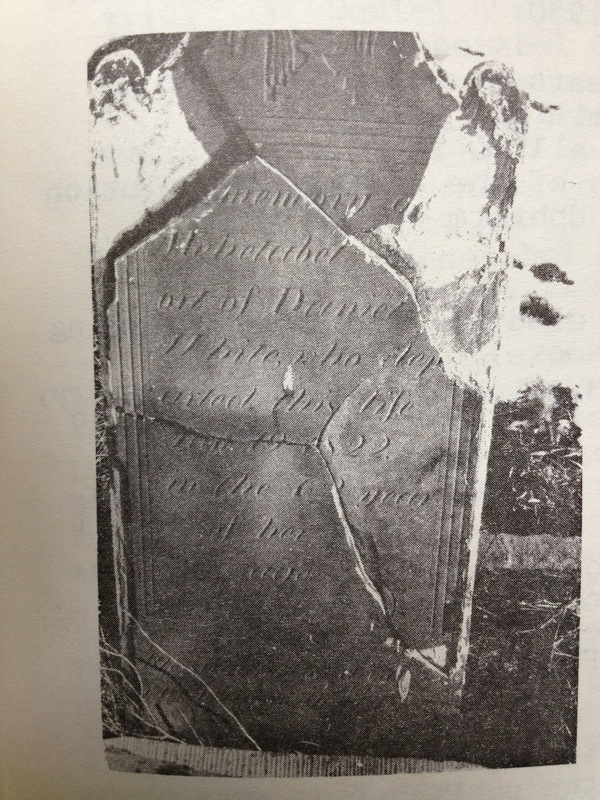 The Search For Sarah Polly White (Snow) (1780-1830)–Wife of Daniel Inman (1776-1848)–AN UPDATE! 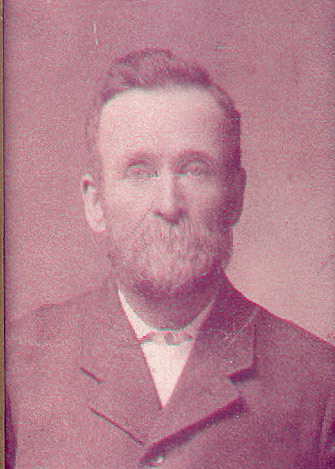 Alonzo Inman (1842-1912)–my paternal great-grandfather. This article was originally written in 2015. When I finished the original version, I thought my search had ended, and I was satisfied with the results. 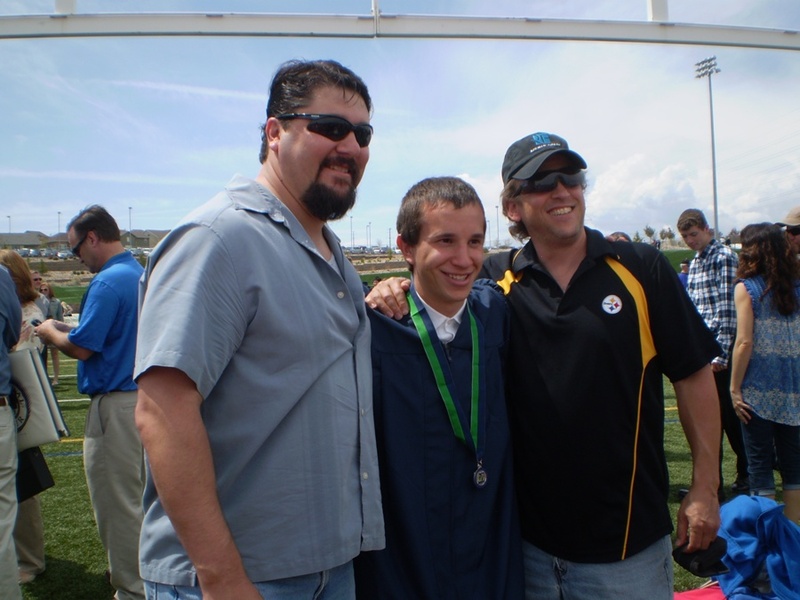 After our son’s passing in March 2016, I put away genealogy for a while. My interest has recently been renewed, but I did not realize it would take me back to this article. Shortly before Christmas, I received a message from one of my Ancestry.com contacts. We met several years ago when our DNA matched on Ancestry. The match concerned my father’s paternal Inman line and the two brothers we descended from. Her message concerned some medical records she obtained concerning her direct. She would be happy to share them with me by sending copies. Then with the rush of Christmas, I forgot all about them and was surprised when I received them the end of December or first of January. “Who would send me a large envelope from Indiana?” I asked when it arrived. And I was thrilled when I discovered the contents! That phrase took me through another ancestral search and led to a complete revision of this article. My discussion begins briefly with Alonzo Inman. The Ethen Inman listed on this record should have been Ephraim Inman. 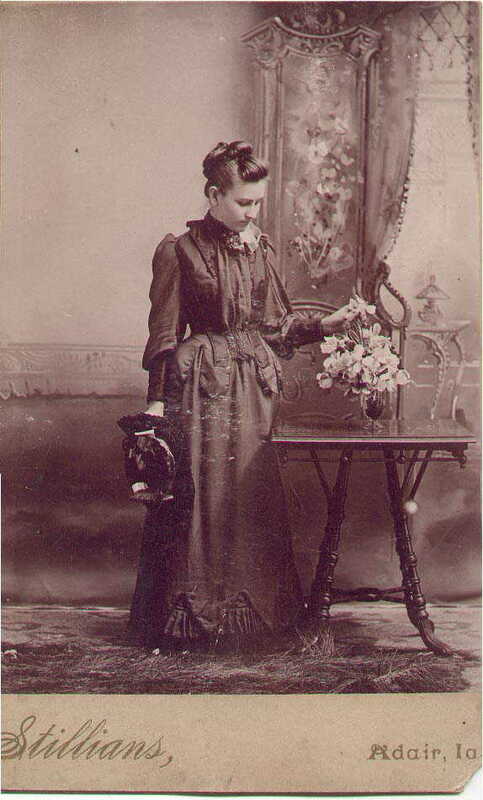 Dora Ellen Inman was born in 1852. And apparently, two unnamed infant Inmans were born to this family who did not survive. I do not know whether they were born in Illinois or in Iowa, where the family later settled. By 1860, the Loren Inman family relocated to Iowa and settled in Union Twp., Floyd County, where they appear on the census for that year. The post office is listed as Marble Rock. The road leading out to the Inman farm/farms was later called “Inman Road.” I don’t know whether this still holds true but when the farms were first established, they were all lined up along that road. 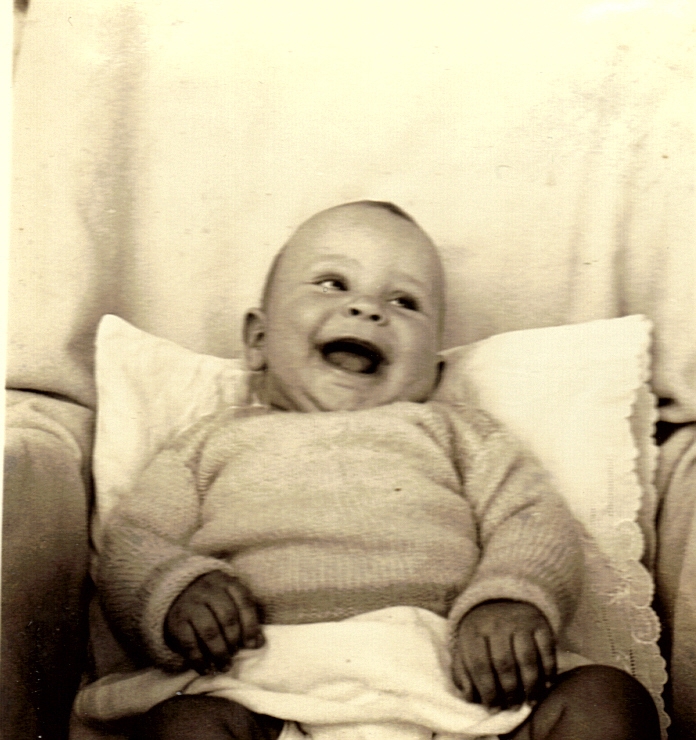 When I was about five years old, my dad’s brother, Forrest, came out from New York to visit us. We all drove up to Marble Rock one day and walked the Alonzo Inman-later the Loren Waiste Inman farm. That was in 1948. All of the houses were still standing along that road. My parents made another trip there in 1961. 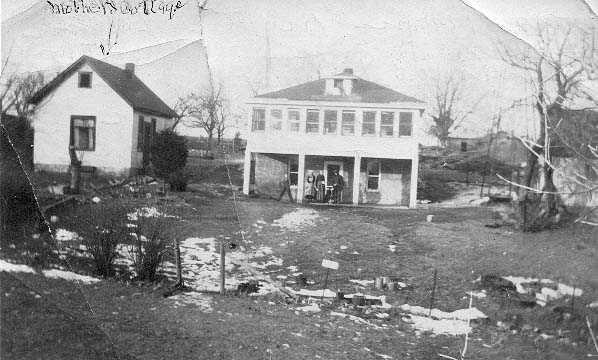 For the most part, the houses were standing, including the Alonzo Inman place that was built before the Civil War. We walked the grounds again, and I remember being surrounded by sheep. In 1997, my husband and I made our one and only trip to Marble Rock. Only one house was left standing. I could not tell whether it was in the process of being torn down or remodeled. We were joined by a flock of guinea hens who were curious about what we were doing! I was so glad to find the location of the Alonzo Inman/Loren Waiste Inman farm where my father was raised. I remembered my trip there in 1961 and the fact that the farm was at the end of the road. 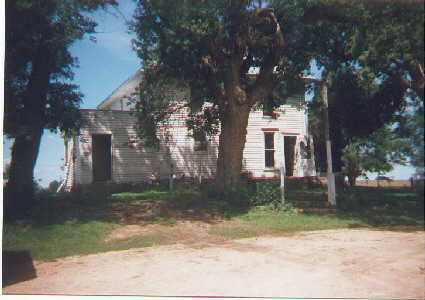 The pictures below depict the farm as it appeared in 1915-1920s and the site of the farm as it appeared on our trip there in 1997. 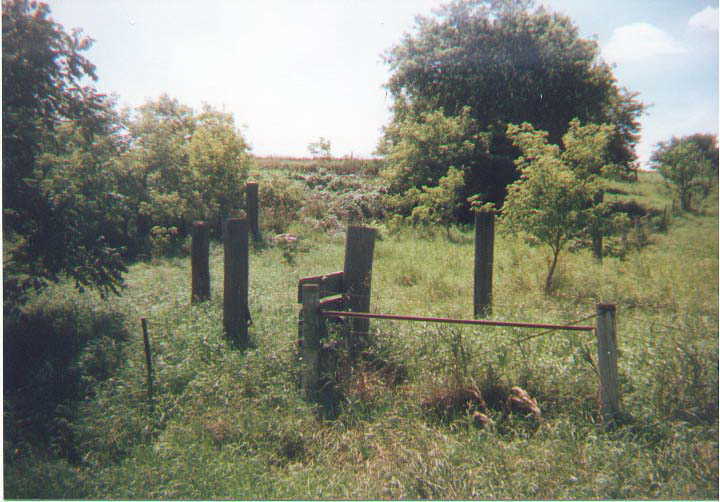 Site of the Alonzo Inman-Loren Waiste Inman Farm, Union Twp., Floyd Co., Iowa 1997. You can distinguish that fence row in front of both pictures. 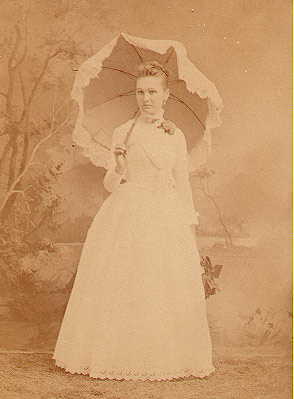 On October 27, 1869, Alonzo Inman married Caroline Elizabeth Waiste (1842-1933) in Charles City, Floyd County, Iowa. Born in Vermont, Carrie was the daughter of Uriah (Uri) Smith Waiste (1814-1873) and Polly Cline (1813-1886). Carrie had traveled by steamboat to Iowa to become a country school teacher. Her mother would join her there later. Loren Waiste Inman [my paternal grandfather] married Adelia Viola Clay (1869-1951) [my paternal grandmother] in Marble Rock, Iowa on April 4, 1893. She was the daughter of Levi Clay (1843-1917) and Mary Elizabeth Stillians (1849-1915). The Loren Waiste Inman Family: (L-R) Harold Clay Inman (1894-1958), Forrest Glen Inman (1895-1965), Viola Clay Inman (1869-1951), Gordon Loren Inman (my father) (1908-1974), Loren Waiste Inman (1870-1942), Lelah Esther Inman, (1902-1981) Caroline Elizabeth Waiste Inman (1842-1933) Another son, Lloyd Burr Inman (1899-1901) had already passed away when this picture was taken. The writer didn’t say they were first cousins! The writer said they were close cousins! That gave me some room to wiggle around. As already noted, Alonzo Inman’s parents were Loren Inman and Lucy Carpenter. 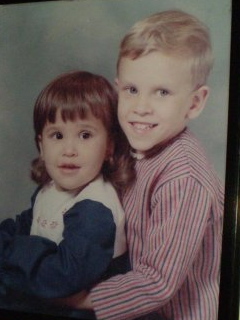 His paternal grandparents were Daniel Inman and Sarah Polly White (Snow). And his maternal grandparents were Harvey Carpenter and Charlotte “Charity” Marinda Cook. I had no problem with most of these cousin connections. I had discovered many cousins in several lines: Inman, Sprague, Bacon, Carpenter, Cook, Sabin and others. There was just one problem, however. In 2015, I originally decided that Sarah Polly White (Snow) was originally a Snow. 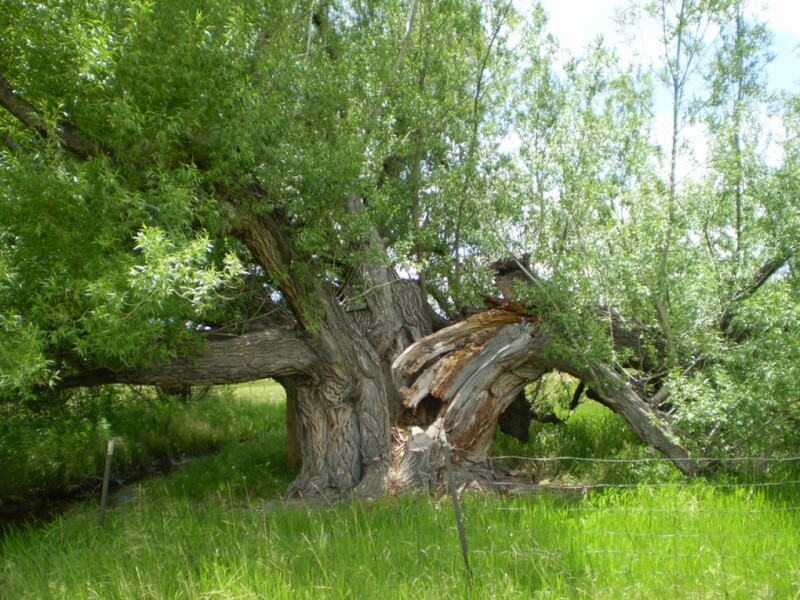 When I pulled up the chart for the people I perceived to be Sarah White Snow’s ancestors, I could not find a single cousin in the Snow line that would connect with the other lines in my tree. As far as I know, I do not have any common ancestor on that Snow line. So back to the drawing board again! I am so grateful for the many official records released by Ancestry.com since 2015. I did not have this information earlier and may have had it sooner had I not taken my leave of absence for a while. What follows is the rest of the story. Sarah Polly White (1780-1830)–the subject of discussion here. She was extremely weak at first and was not projected to live. The Benjamin Snow family took her in to their household and raised her as their daughter. She used the Snow surname at a later time resulting in the confusion as to whether she was a White or a Snow. Mehitible/Mehetable White (1780-1841)–Sarah Polly White’s twin. 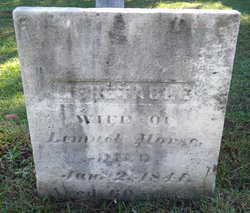 She married Lemuel Morse (1779-1854) and settled in Huron County, Ohio. Sarah White (1781-1781)–a second daughter named Sarah. She apparently died at birth or shortly thereafter. 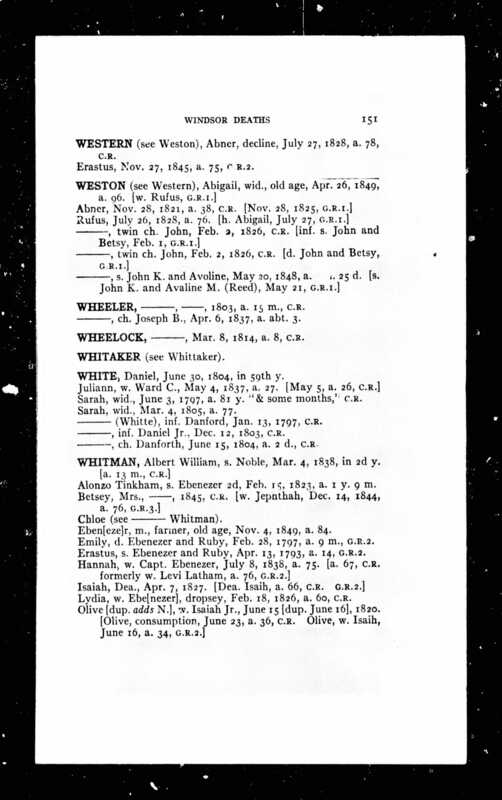 Sarah Polly White (1792-1840)–a third daughter named Sarah (and a second one named Sarah Polly). She married George Hammond (1790-1860) and settled in Auburn Twp., Huron County, Ohio. This makes Mehetable White and the first Sarah Polly twins! Benjamin Snow was born August 13, 1752 in Ashford, Windham, Connecticut, and he died in Connecticut in 1800. He was the son of Joseph Snow (1713-1787) and Abigail Sarah Cornel/Cornwall (1712-1797). His wife was Hannah Chubb (1749-1800). Hannah was the daughter of William Prentice Chubb (1723-1753) and Rachel Squire (b. 1723). Hannah was born in Ashford, Windham, Connecticut. They were married March 30, 1773 in Ashford and they stayed there. 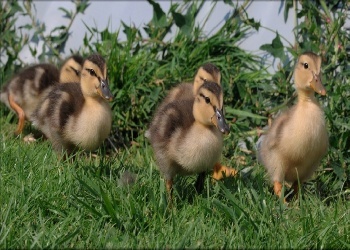 Their children follow:. Jonathan Snow, Jr. (1774-1810) Jonathan was born January 21, 1774, and he died between 1810 and 1820. The exact date of death is unknown. On April 24, 1794, he married Relief Johnson (1773-1831) in Ashford, Windham, Connecticut. 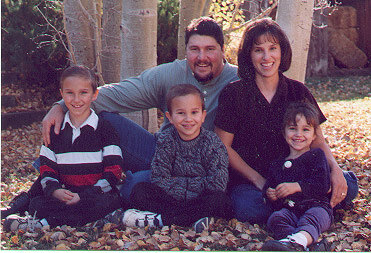 Their children were: Annie Snow (b. 1794), Alice Snow (b. 1797), Hezekiah Snow (1798-1842), Hannah Snow (no dates). Willard Snow (1782-1784). Willard was Sarah Polly White’s pride and joy. She joined the Snow family shortly after her birth. Willard was born December 30, 1782, and he died July 28, 1784. Sarah was just two years older than Willard. She remembered him well and probably missed him a great deal. Her first son, Willard Inman, may have been named after him. Dudley Snow (1784-1830). Dudley may well have been another of Sarah Polly’s treasures. He served in the War of 1812 and died at sea in 1830. He married Mary Polly Penhallow (1787-1848) on March 2, 1806 in Belchertown, Massachusetts. Their children were: Abijah Rockwell Snow (1810-1892); William D V Snow (1812-1900); Parmelia Snow (b. 1821); Daniel Pinney Snow (1825-1902); [He may well been named after Daniel Inman]; and, James Snow (1828-1898). There was definitely a scarcity of children in the Snow family when compared with Sarah’s birth family. For this reason, I believe the Whites made the arrangement permanent when the Snows took in the infant Sarah. She later used the Snow surname, thereby creating the White vs. Snow controversy surrounding her name. I do not know how much contact the two families had with one another after Sarah was placed with the Snows. They were friends. The Whites lived in Pomfret and the Snows lived in Ashford. It may have pained the Whites that they gave up Sarah. That could explain why they named their next daughter Sarah. However, that Sarah did not live. And they named their last child Sarah Polly when she was born in 1792. That Sarah Polly White bonded well with her sister Mehitible/Mehetable; the two sisters eventually moved to Ohio with their families. As already noted, there is no cousin connection with Alonzo Inman in the Snow line. The cousin connections are alive and well in the White line, however with the following surnames: Bacon, Carpenter, Sabin, Inman and Mayo and others. He is apparently buried in Windsor, but his grave has never been discovered. She was able to finally bond with her daughter during the final years of her life. Willard Inman (1801-bef 1870) Willard was born in Pomfret, Windham, Connecticut in 1801, and he died in Jefferson, Butler Iowa before 1870. His wife was Lydia M. Peck. Their children were: Sarah S. Inman (1825-1879); Elsie (Alcy) Lowena Inman (1827-1906); Pvt. Daniel Willard Inman (1835-1909); Major Chester William Inman (1837-1894); 1st Lt. Joseph George Inman (1838-1893); Harriet S. Inman (1840-1913); Lucy Caroline “Carrie” Inman (1843-1880); Franklin E. Inman (1844-1864); Cassius F. Inman (1846-1863). David Trumbull Inman (1802-1866) David was born in Ontario, Wayne, New York in 1801, and he died in Illinois in 1866. His wife’s name was Alamanda. I do not have information about his children. Alcy Inman (1807-1873). Alcy was born in Ontario, New York in 1807, and she died in Marble Rock, Floyd County, Iowa in 1873. Her husband was Robert D. Frost (1831-1907). Their children were: Joseph Inman Robert Frost (1831-1907); Sarah Frost (b. 1839); Josephine Frost (1843-1920); Robert David Frost (1846-1921). Joseph Inman (1809-1880). Joseph was born in 1809 in New York, and he died in March 1880 in Marble Rock, Floyd County, Iowa. His wife’s name was Caroline, who was born in 1810. I have no further information. Harvey Carpenter Inman (1836-1886)–his wife was Sarah E. McCollom (1838-1924). 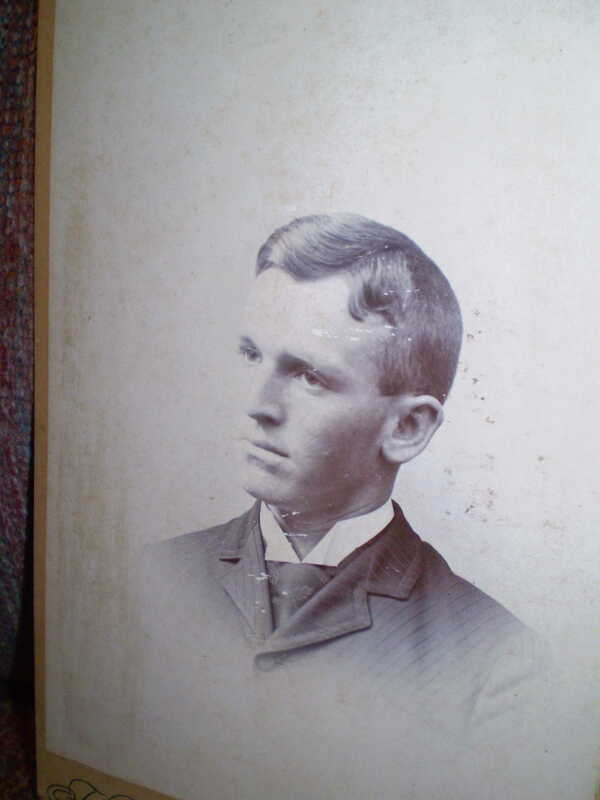 Their son was Harry Edward Inman (1869-1933) [Note: Actually the son of Ephraim Inman and Harriet Clay–adopted by Harvey Carpenter Inman and Sarah E. McCollom. Joseph L. Inman (1841-1863). He joined the Union Army in 1862 and died at age 22 of an illness in Memphis, Tennessee I have already discussed him earlier. Alonzo Inman (1842-1912). My great-grandfather. I have already discussed him earlier. Ephraim Inman (1846-1914). Ephraim was born September 1, 1806 in Aurora, DuPage, Illinois and he died August 9, 1914 in Buchanan County, Iowa. His wife was Harriet Clay (1849-1906). Harriet and my grandmother, Adelia Viola Clay, were cousins. Grandma left Adair, Iowa and went to Floyd County to help Harriet while her husband was ill. That’s how my grandparents met at the local church one Sunday! 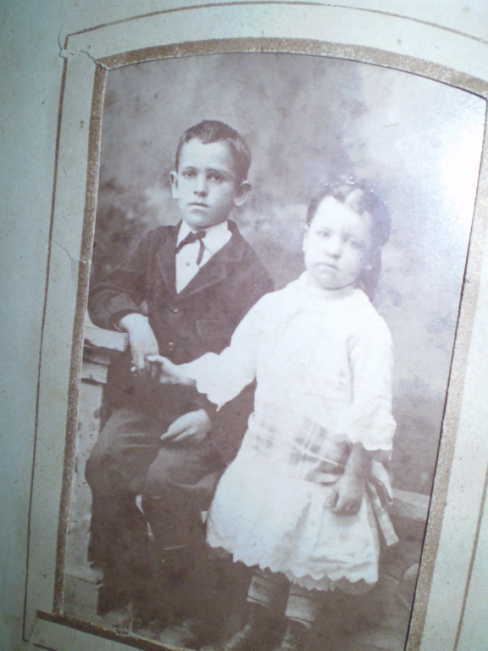 The children of Ephraim Inman and Harriet Clay were: Louis Joseph Inman (1867-1908); Harry Edward Inman (1869-1933)–adopted by Harvey Carpenter Inman and Sarah E. McCollom; Harvey Ephraim Inman (1871-1960); Nellie Louisa Inman (1873-1941); Lucy Ellen Inman (1875-1943); Sarah R Inman (b. 1883). Bernice Caroline Inman (1887-1967). Charlotte Marinda Inman (1849-1892). Charlotte was born August 5, 1849 in Sugar Grove, Kane County, Illinois, and she died in Brainerd, Minnesota in 1892. Apparently, she had two marriages. I cannot prove the first marriage nor the son who was reportedly born of that marriage. She may have married a Frank Bell in Floyd County, Iowa in 1865. They may have had a son named Edward Bell (1866-1870). They may have divorced in Brainerd, Minnesota in 1866. She appears to have married Andrew Jackson Baumgardner (1828-1905) before 1870 in Floyd County, Iowa. They were divorced before 1880 because he remarried in 1881. (He appears to have had four wives). 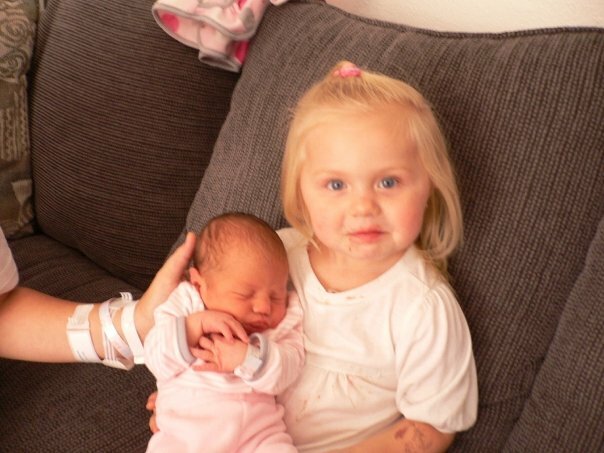 Charlotte spent her final years with her sister. 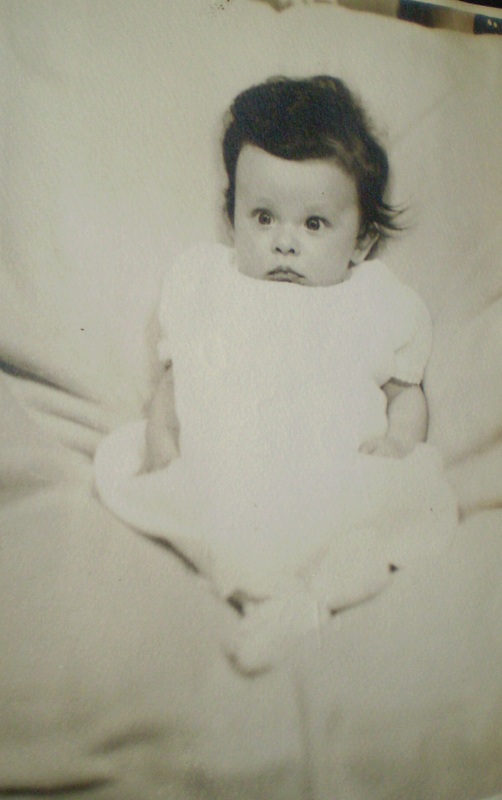 2 Unknown Infants–names and dates of birth and death unknown. Nelson Proctor Inman (1822-1872). Nelson was born March 1822 in Genesee County, New York, and he died in 1872 in Sheffield, Franklin County, Iowa. His wife was Laura Jane Denny (1826-1916). Their children were: Nancy J. Inman (1852-1916); John Nelson Inman (1854-1942); William Henry Harrison Inman (1856-1950); Daniel Alonzo Inman (1860-1916); Ida Irene Inman (1862-1864); Lucy Adele Inman (1864-1967). There is some dispute concerning the location of Sarah Polly White Inman’s death–whether it occurred in New York or in Illinois. She was still alive in New York in 1830. 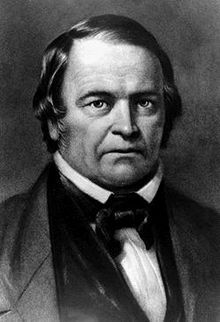 Daniel Inman began purchasing land in Illinois May 31, 1842. (9) He was living in Illinois when he began making these purchases, so he may have been there as early as 1840. I cannot find an 1840 Census Record for him. Sarah would have died in New York because Kane County, Illinois wasn’t formed until 1836. There is no definite date of death for her other than the 1830 Census. She would have died after that census record and before Daniel’s move to Illinois (approx. 1840). (2) Alonzo Inman Death Certificate, Iowa Department of Records, Bureau of Vital Statistics, Des Moines, Iowa. (3) 1850 U.S. Census, Sugar Grove, Kane County, Illinois for the Loren Inman family. U.S. Department of Federal Census, Washington DC. 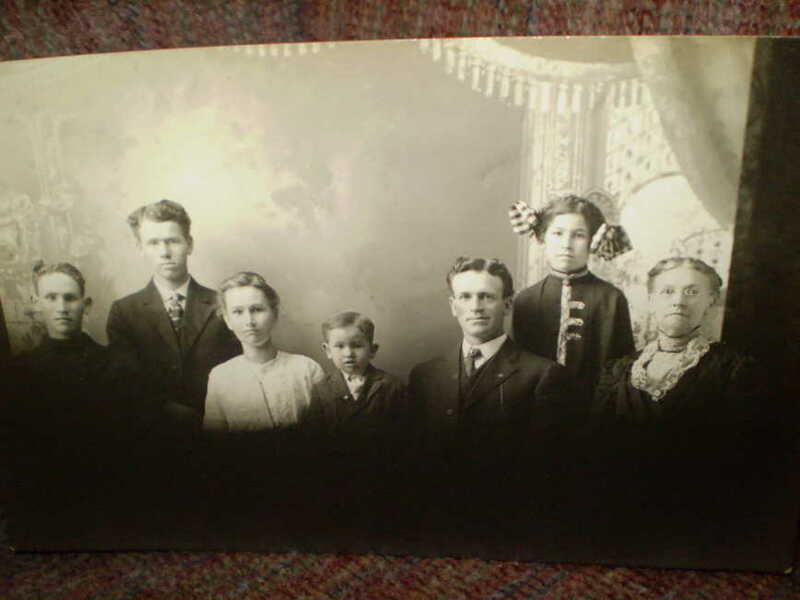 Copy obtained from Ancestry.com, Provo, Utah. (4) 1860 U.S. Census, Union Twp., Floyd County, Iowa for the Loren Inman Family. U. S. Department of Federal Census, Washington DC. 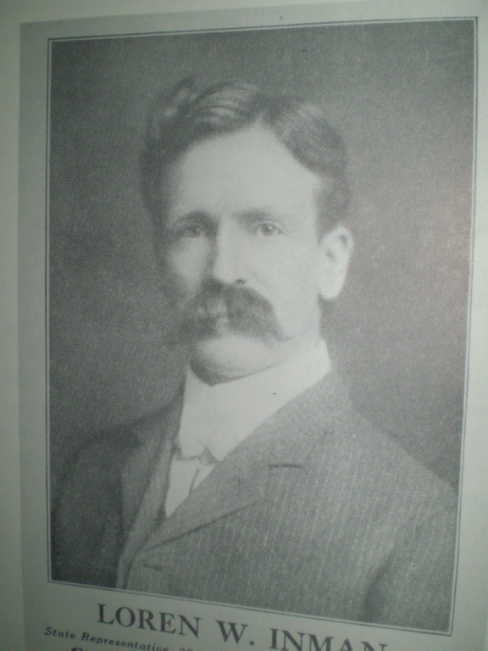 Copy obtained from Ancestry.com, Provo, Utah. (6) Inman, Charles Gordon. Daniel Inman of Connecticut, Ontario, New York, and Sugar Grove, Ill. and His Descendants ca. 1776-ca. 1976 with Ancestral Notes to the Early Seventeenth Century. Personal Copy. (7)Daniel White Death Record. Massachusetts Town Death Records. New England Historic Genealogical SocietyPublisherOnline publication – Provo, UT, USA: The Generations Network, Inc., 1999.Original data – Vital Records of Bellingham Massachusetts to the Year 1850. Boston: New England Historic Genealogical Society, 1904. 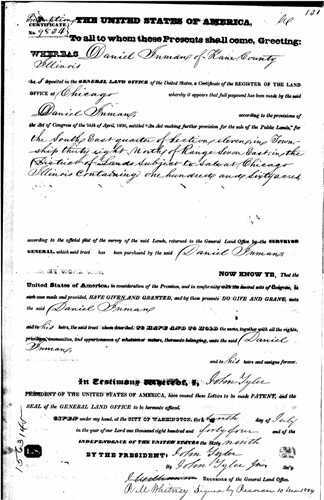 (10)) Daniel Inman Illinois Land Purchase Certificate, July 1844. Online publication – Provo, UT, USA: Ancestry.com Operations Inc, 1999. Whenever I start working on a different family line, I generally take time updating my information about them prior to writing the series. I’m currently doing that with Dad’s Northeastern Inmans since I haven’t looked at some of those lines in years! And I have discovered some interesting things. 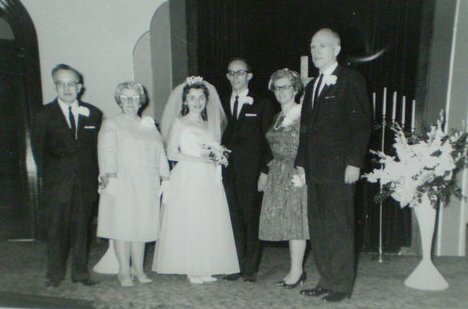 My discoveries all relate to Dad’s Inman line and focus on three families who intermarried with them. One big problem centered around the wife of Edward Inman (1713-1778) whose wife’s first name (Dorcas) was known, but not her last name. When I first started looking at this line a few years ago, I discovered that a number of people thought her last name was Paine. I checked into it and soon discovered that the Dorcas Paine they focused on married someone else and that was her only marriage. So I listed Dorcus on my tree as Dorcus “Paine”–a marker indicating I would look into it later. Paine was definitely a pain, but I was working on other lines at the time, and I had no ancestral clue for this mysterious lady. About a month ago, I started looking into Docus “Paine” again only this time, I found her real identity. Thank goodness for all the records Ancestry has added to their database over the years because when I re-investigated the Paines recently, I blazed a trail! I always hesitate doing this. The question Am I heading in the right direction lingers in my mind, followed by What if all of this is wrong, and I have to start all over again? That’s when Ancestry’s DNA steps in. About a year ago, I took advantage of one of Ancestry’s offers: for $79 I could get one of their DNA kits. Well, why not? I decided. The Cline/Clyne line was the second one I tackled. It bothered me because I had little information about them, and yet they figured prominently in Dad’s Inman history. The line ended in New York. I poked around that state years ago and gave up when I could find nothing new. And I was about to give up on them again recently until I discovered a death record for my third great-grandmother and discovered her maiden name: Chelson or Chilson. That discovery finally broke down the barrier. I started receiving DNA matches on the Chelson/Chilson line almost as soon as I entered the data on my tree. I’m still poking around somewhat with the Cline line, but Rome wasn’t built in a day. At least I am heading in the right direction. The third problem on Dad’s Inman line centers upon the wife of Daniel Inman (1776-1848). There was one wife and only one wife whose first name was Sarah. (Over the years, some people have credited Daniel with three wives–all named Sarah. That didn’t happen! There was only one Sarah!) Existing records suggest that she was either a Snow or a White. Years ago, I couldn’t find anything to justify either name, so I listed her as Sarah Snow for a while and then as Sarah Snow/White. In recent years, I played around with the White name, but I could find no resolution there either. Then I discovered people had added a third wife named Sarah Proctor/Procter, and I knew I had to reach a conclusion soon. 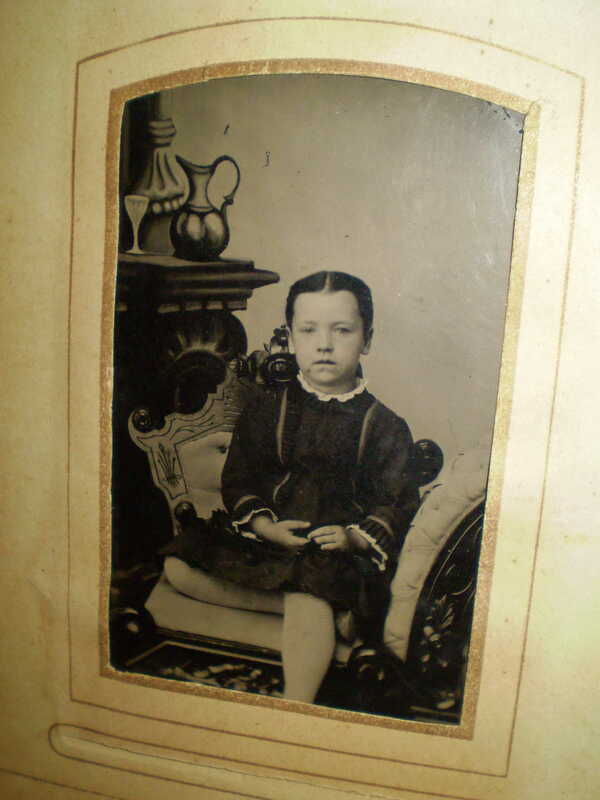 (Daniel and Sarah’s youngest son was Nelson Proctor Inman (1822-1872). Some of his descendants have decided that Sarah’s name was Proctor. I could find no record or other confirmation of that). Back at the drawing board once again, I tore through existing records and finally concluded that my original assumption was correct: Sarah’s surname was Snow! I will write about this experience in a later article. What I will note here is that when I incorporated the Snow name into my tree and after including the people I thought were her family, I began receiving DNA confirmations in that regard. So I’m satisfied I’m on the right path. I have an update to add to this article concerning the Snow line. My research has been confirmed concerning Sarah Snow and her parents. I received several DNA confirmations today. Will be writing an article on it in the future.